Dodson & Horrell Firm Foot is a blend of rosehips and seaweed which together create an ideal supplement for horses with poor hooves. Whether your horse is kept barefoot or shod hoof, growth and strength are important to keep your horse comfortable. 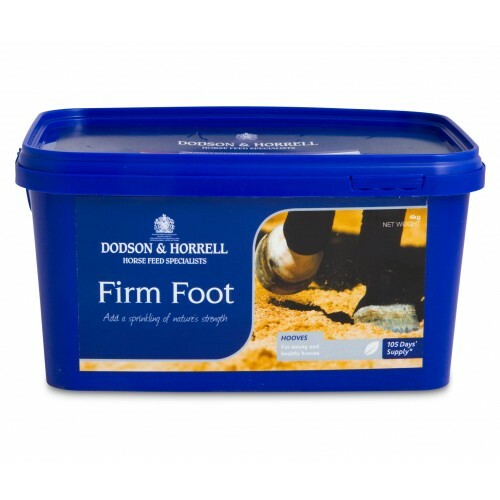 By using Firm Foot you are providing essential minerals which promote circulation to maintain healthy hoof growth. There are currently no questions for Dodson & Horrell Firm Foot for Horses - be the first to ask one!